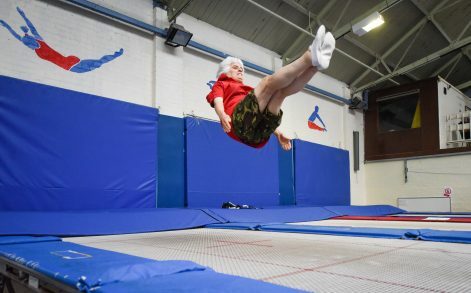 This pensioner proves she still has a spring in her step and has somersaulted her way to becoming possibly the UK’s oldest trampoliner at the age of 75. 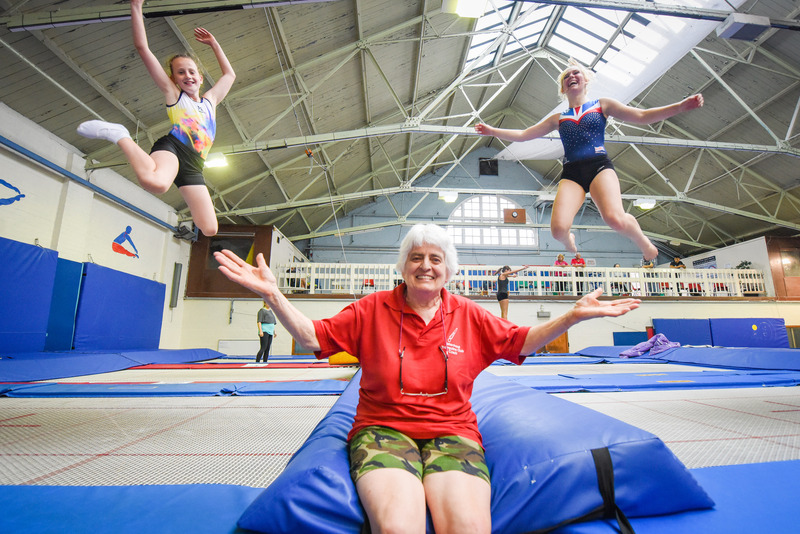 Cath Page is still bouncing and flipping on trampolines to show the kids how it’s done at the club she has run for 43 years. 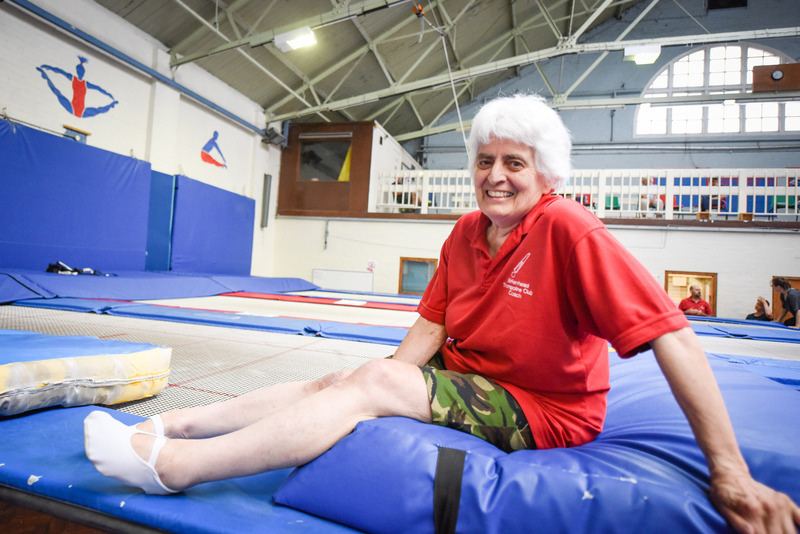 Athletic Cath has been trampolining for more than four decades and refuses to give up, still teaching and demonstrating six days a week. The septuagenarian is still able to pull off a string of impressive combos to teach the kids at the club she runs in Birkenhead on Wirral. 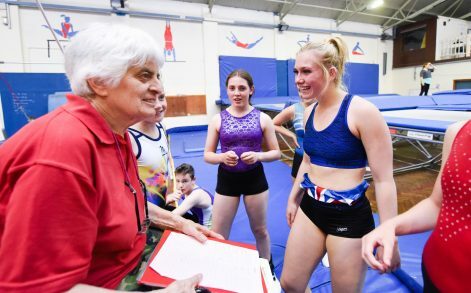 Despite being awarded an MBE in 2001 for her services to trampolining, she remains humble and has championed the benefits of staying fit in people’s more mature years. 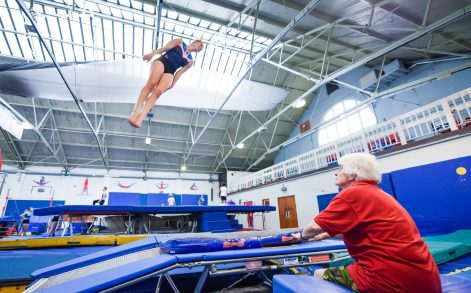 In an amazing video, the spritely senior citizen bounces and flips while two students watch in admiration. 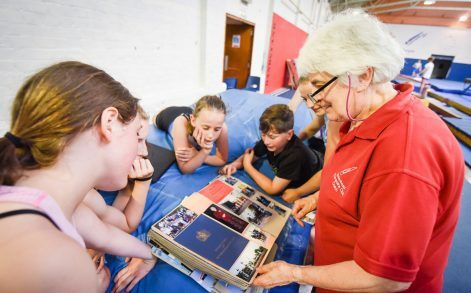 Cath, from Birkenhead, said: “When I tell people I’m a trampolining coach at my age they are often quite surprised, although there are marathon runners older than me. “I can’t do double somersaults like I could when I was younger. “Years ago I could probably do 10 somersaults in a row and around four or five of those would be double somersaults. “I still enjoy getting on the trampoline to stay fit. If you’re not fit, you’re dead. Despite playing down her incredible skills, Cath can manage a couple of somersaults in a row and enjoys impressing her students by hopping on the trampoline. In the video Cath can be seen bouncing confidently, doing a double somersault and other tricks as youngsters stare in amazement. Old enough to be their grandparent, Cath teaches for more than 19 hours per week and claims her students are like her children. 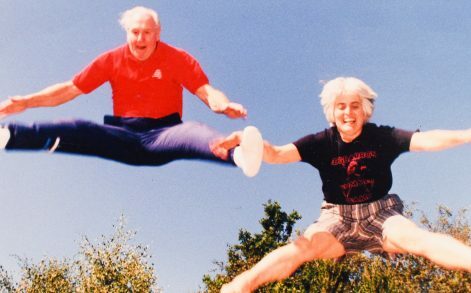 Cath said: “I‘m not married but have hundreds of ‘children’ through trampolining. 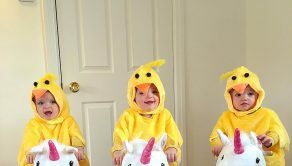 “I love seeing them progress and their self-confidence develop so then they can attempt more tricks. “I do coaching across six days. I’ll usually teach three-hour long sessions apart from on Thursdays and Saturdays when I do four-and-a-half hours. 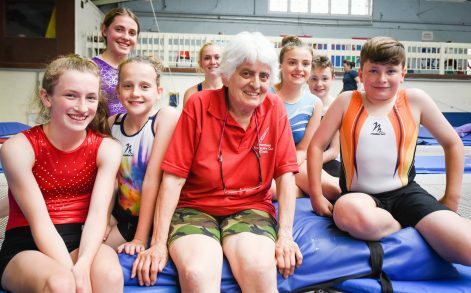 “I coach the top squad at Birkenhead Trampolining Club and I think they just respect that someone must be able to coach well. My age is never a factor. 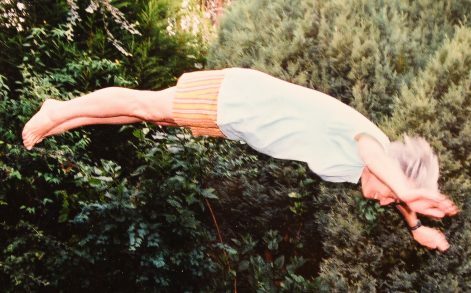 At the height of her career, Cath came 12th at the British Championships and currently coaches the High Performance Team at Birkenhead Trampolining Club, which she set up in 1975 with her colleague Dave Rankin. 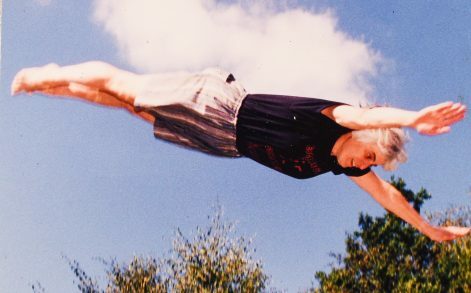 Despite starting trampolining later in life she has enjoyed successes and is still a judge at various competitions. Cath said: “I was 30 when I started which is quite late. Then within a few years I was coaching whenever I wasn’t jumping. “I have always been quite competitive and entered competitions. In 1976, I was 12th in the UK for trampolining in the British Championships. “Trampolining isn’t a difficult sport and you can learn tricks very quickly. You start to feel that you’re quite good pretty early on. “You can get up to somersaults quite quickly if you have any talent at all. Then when you get on to double somersaults it’s even more amazing. “And it’s a great all-round sport for fitness. It’s not for a very specific set of muscles – it works all of them. Former British Championship runner-up Chloe Farthing, who also placed fourth in the competition last year, believes it’s Cath’s coaching that helped her achieve success. Working with her for a decade, Chloe has competed countrywide and claims she was ‘impressed’ by her coach’s energy. 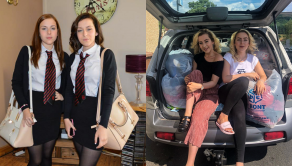 Chloe Farthing, 17, said: “I’ve been trampolining with Cath for 10 years. She’s very motivational and knowledgeable. “At first when I started, when she was 65, I wasn’t surprised by her age but as the years have passed everyone is impressed by her energy. 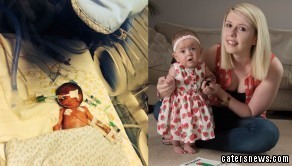 “She still gets on the trampoline from time to time and has a lot of energy. “I know she enjoys cycling too and spends hours in the garden so she keeps herself fit.